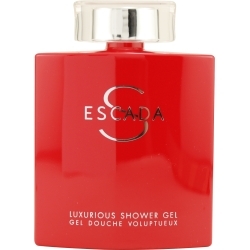 Escada S by Escada is a women's fragrance containing several intriguing notes, including hazelnut, rose, red pepper, musk, mahogany, and plum. Introduced in 2007, this casual perfume has a citrusy scent that will work well in a number of situations, providing you with a versatility that will make it stand out from the rest of your perfume collection. Whether you choose to wear it for work or for a relaxed weekend afternoon, Escada S is a lovely fragrance that will match your laid-back attitude. I always get compliments when I wear this scent and the shower gel will still linger on my body the next morning. It is my all-time favorite for years now.